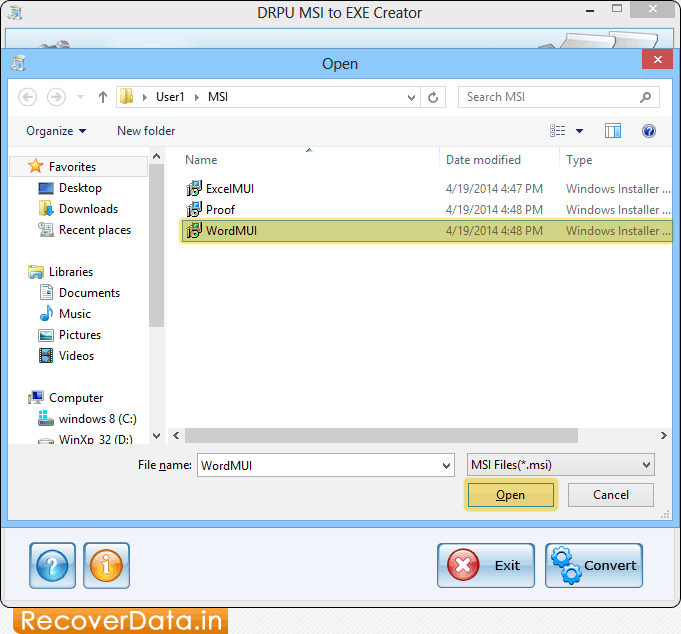 Select .msi file to convert into .exe file format. Click 'Open' button. 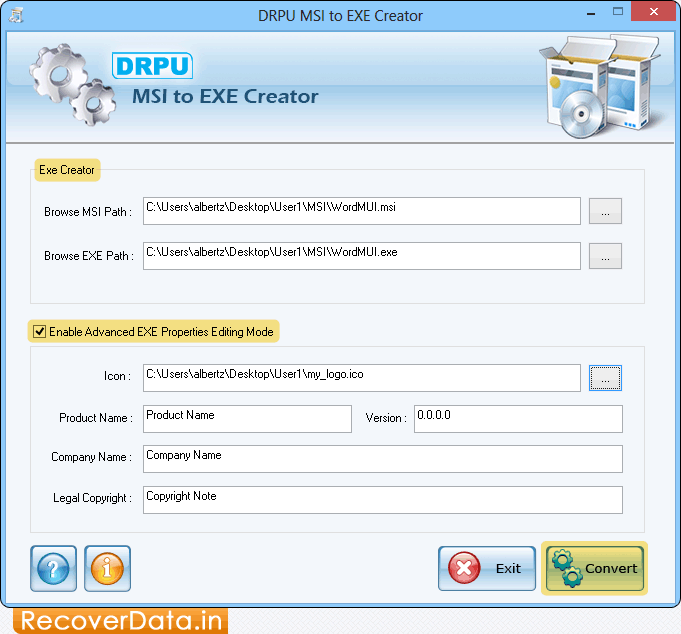 Browse MSI Path and check "Enable Advanced EXE Properties Editing Mode" then click 'Convert' button.